A new Picarro gas analyzer, capable of measuring CO2, CH4, CO, and H2O. A Los Gatos Research (LGR) Ultra-Portable Greenhouse Gas Analyzer, for use both in the field and in the laboratory. Typical sample precision is on the order of ±0.5 ppm for CO2 and ± 3 ppb for CH­4. Our group has a one-of-a-kind field-deployable system for extracting ancient air from very large (≈1000 kg) samples of glacial ice. This enormous sample size is required to obtain the ≈20 µg of methane-derived carbon for a measurement of 14C by accelerator mass spectrometry (AMS). Details about the field extractions can be found in a blog post from the Taylor Glacier campaign. 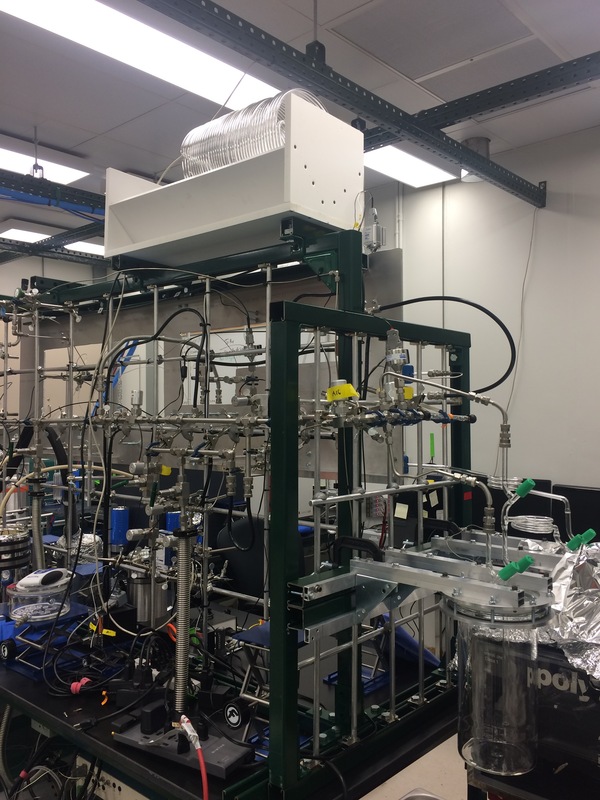 The lab also houses an all-Pyrex system for combusting the CH4 to CO2 in the sample air stream and collecting and purifying this CH4-derived CO2 for subsequent 14C analyses. 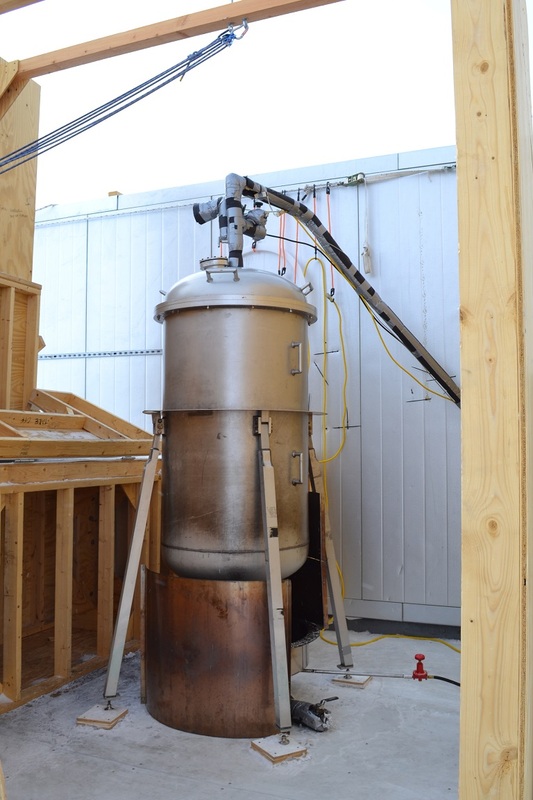 The conversion of CO2 to graphite and AMS analyses are performed at an off-site laboratory. Field melter system for CH4. 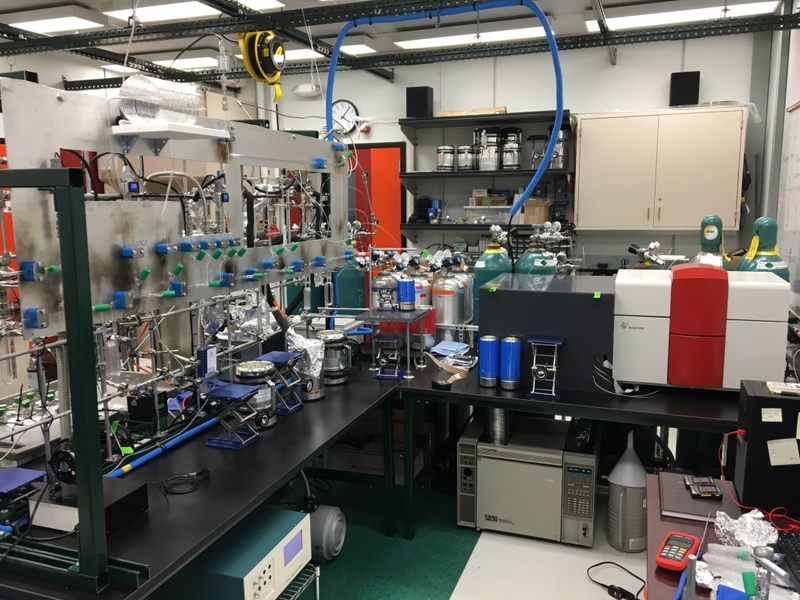 The same field deployable system and laboratory air-processing line that is used for 14C of CH4 can also be used to prepare samples for analyses of 14C in CO. This system has been used for analyses of in situ cosmogenic 14CO in ice. 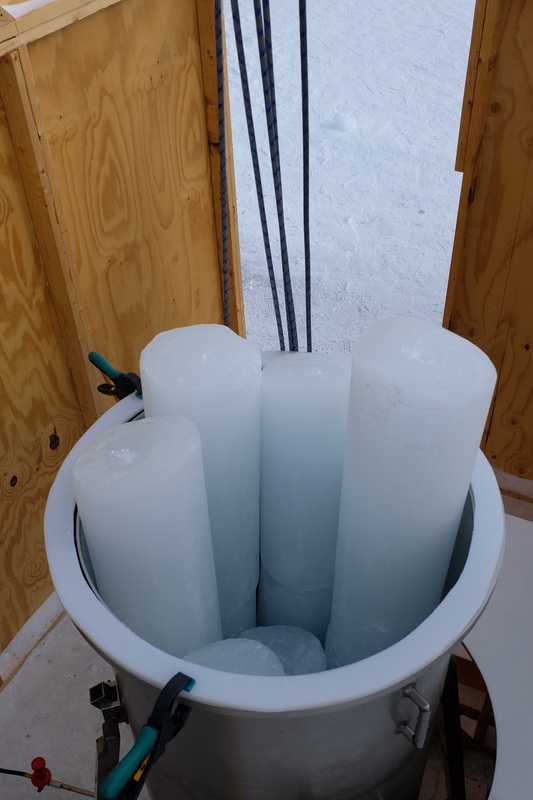 In addition, a new system to enable us to use 14CO in ice cores to reconstruct the atmospheric 14CO history was recently constructed and is currently being tested. New 14CO melter system set up for testing in the lab. 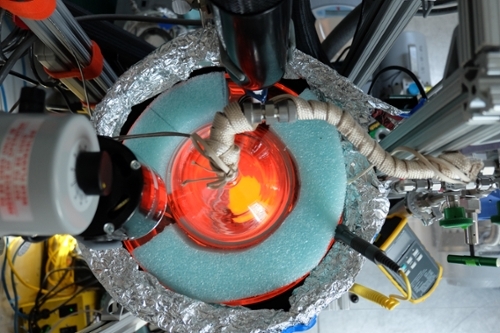 Our laboratory is interested in using 14C of CO2 in ice as an absolute dating tool for ice cores, as well as in improving the understanding of production of 14CO2 directly in the ice by cosmic rays. For this purpose, we have developed a system for extracting CO2 from glacial ice via sublimation. Sublimation allows for 100% complete release of any in situ-produced 14CO2 that may be trapped within the ice grains. At the same time, it does so without melting the ice and avoids extraneous CO2 production that is associated with the liquid phase. The system is currently capable of sublimating ≈1.5 kg of ice in ≈8 hrs, which provides ≈20 µg of CO2-derived carbon for 14C analyses. A more in-depth description of the operation of the sublimation system can be found in our field blog entry.